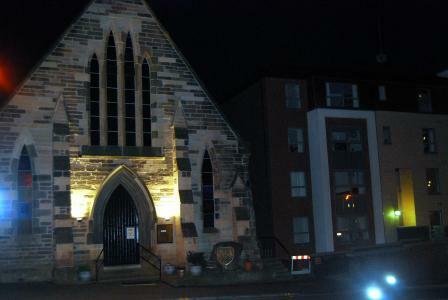 Although St Mungo's in the Townhead was our local Chapel every chance I got I would go to St Simon's in Partick. My Granny lived across the road from it and every Saturday we would visit her, I alway would pop into St Simon's and go to confession or if I was staying with her then I would also go to mass there. All my brothers and sister were baptised in St Mungo's, but I was baptised in St Simon's my parents were living in Partick then. I guess I always felt that I had a special connection with this chapel. New here and just come across this. I was born across from the Art Galleries and prior to my joyful arrival my parents, were married here. Subsequently I was baptised therein and served as an altar boy to Fr Kelly in the mid 60's. 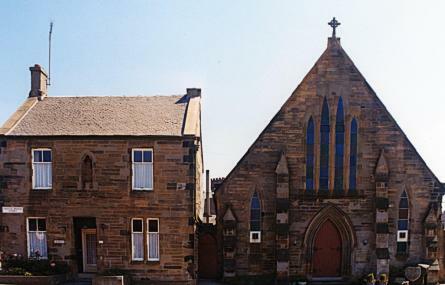 My 3 siblings were also baptised there and as a tennager carried my grandfathers box oot the door. In happier times one of my best matesgot hitched in the wee place. 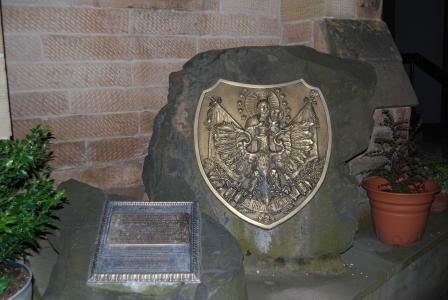 In my salad days it was always the "Polish" church and only on going to Krakow last year I got the direct affinity. also as you look at the photo, to the right of the church was the original St Peters, school of course long gone now. Ross, you gave me a laugh there, getting called a wee Scottish heretic. I'm sure you know the meaning of that word just as well as I do. But I'm also sure when you were called that it was not meant as an insult but as you said, a term of endearment. Yes Simon/Peter are probably the same guy. And yes I went to St Peters, both Annexes, for my Primary education. If you are old enogh Angel, it was Fr Robertson who was the Parish priest and who in the late 50's gave me the incorrect names over the font. My mother still refers to me by this misnomer in jest. Those post-war Poles were brave and proud people many of whom I had the pleasure of growing up with. Did you go to school with me?I went to St.Peters and lived "doon the brae" across from St.Simons in Partick Bridge St until our house was demolished in 1970.I used to play in the swingpark just round the corner from the chapel and in the old railway.